Tegaderm Contact Layer 5644 Non-Adherent Dressing is a direct contact dressing for wound management. 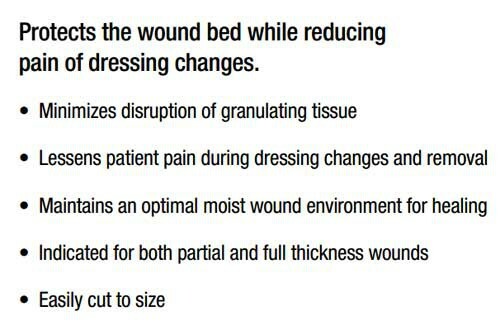 This wound dressing is used to maintain a moist wound environment to promote healing. 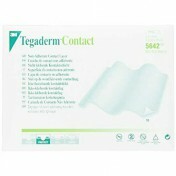 The contact layer is hypoallergenic and non-irritating to allow direct placement on the wound site. 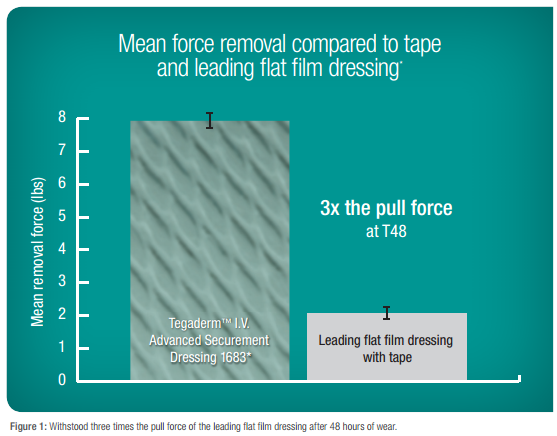 Removal is pain free due to the dressing's non-adherent characteristics. 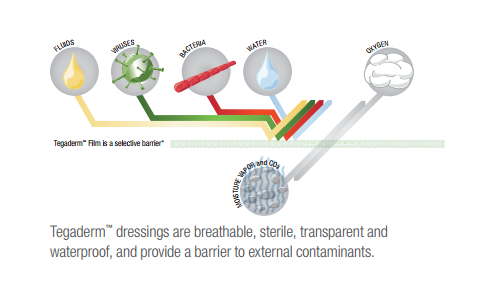 The bandage layer allows exudate to pass through to a secondary dressing. 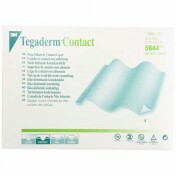 Its non-irritation characteristic is ideal for sensitive patients. 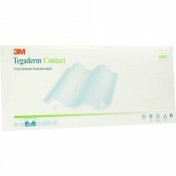 Manufactured by 3M, this wound contact layer reduces pain often associated with dressing changes. 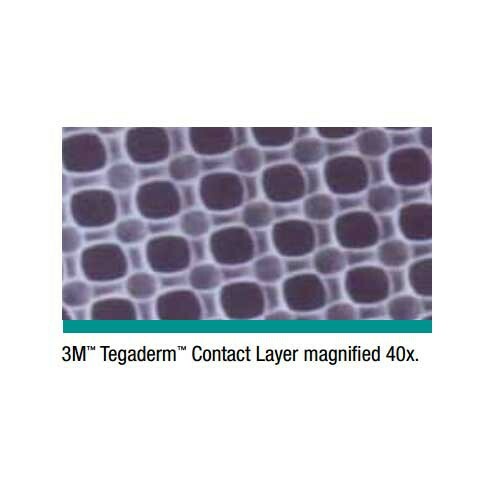 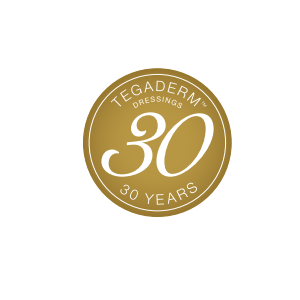 Other Tegaderm contact layer dressing sizes include 5642 - 3 x 4 Inch Dressing and 5643 - 3 by 8 Inch dressing.